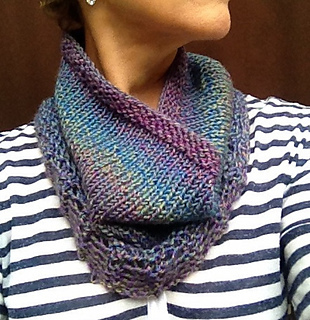 Do you have one skein of yarn you’ve been saving for just the right thing? 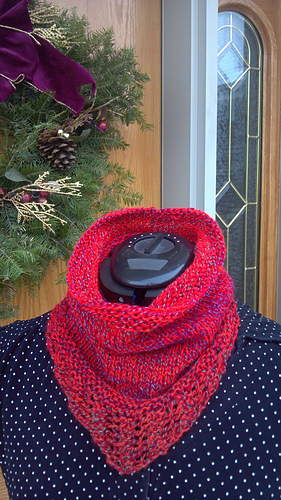 Only have a small amount of time in which to knit a gift? 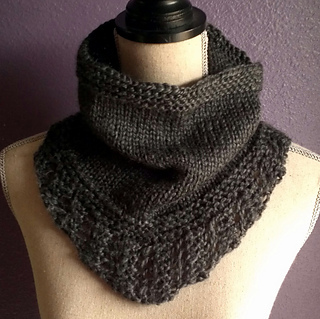 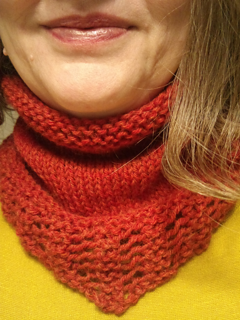 This cowl works up in a matter of hours. 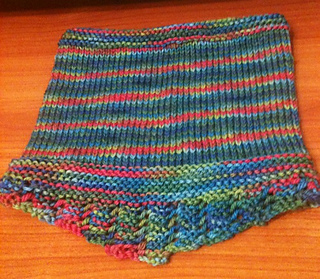 You start at the bottom center, working upward and increasing the number of stitches as you go. 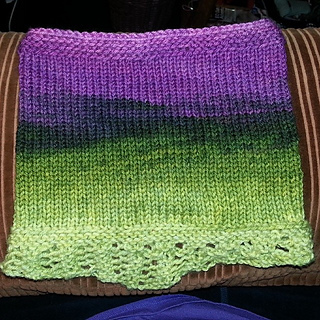 You start out working flat (back and forth) but then ultimately you will join and work the rest in the round. 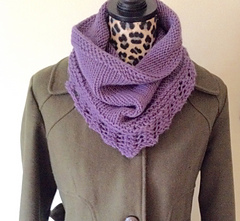 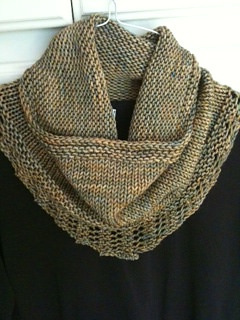 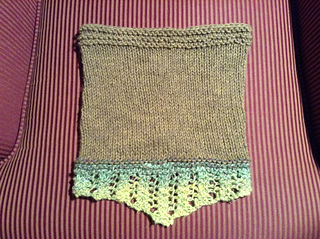 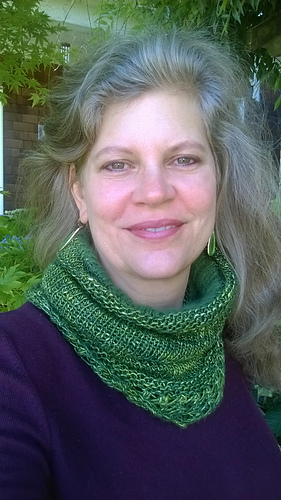 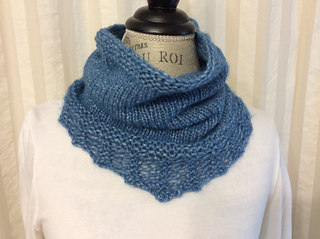 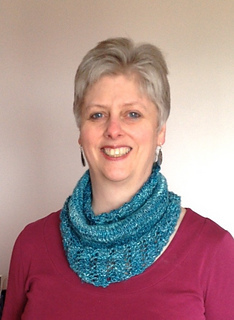 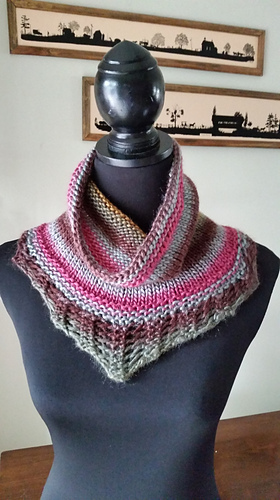 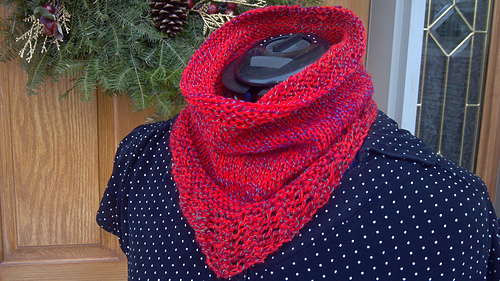 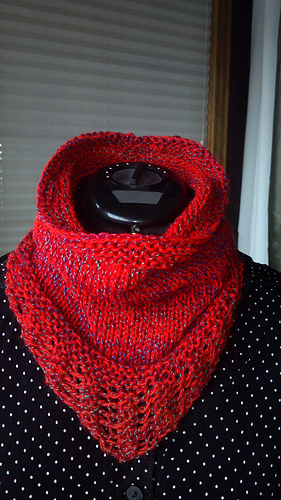 If you loved my Gallatin Scarf you’ll love this cowl, the lace aspect is the same as the Gallatin. 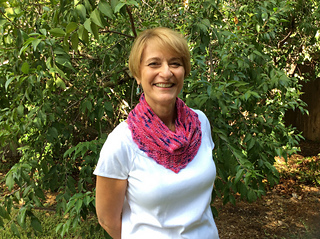 Now Available in the following languages: English, Spanish, Polish, and Portuguese. 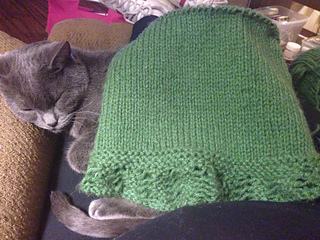 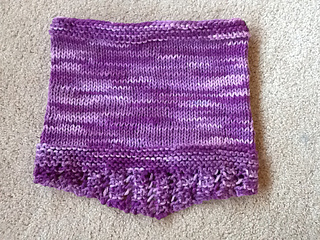 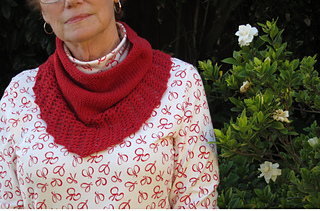 Click on the blog link for the pattern.